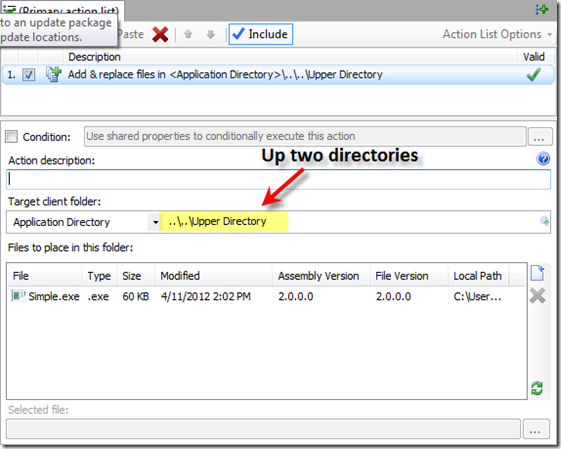 Most application files reside in the installation directory, referred to within AppLife Update as the Application Directory. 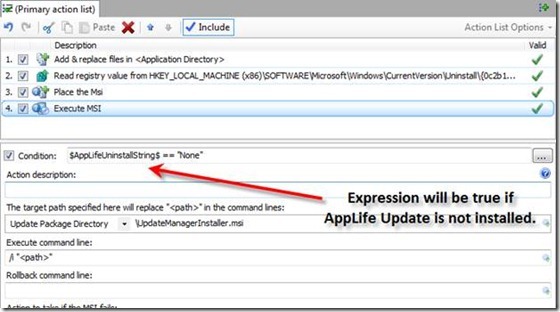 The AppLife Update execution engine determines the Application Directory from the physical location of the executable that launches the update. 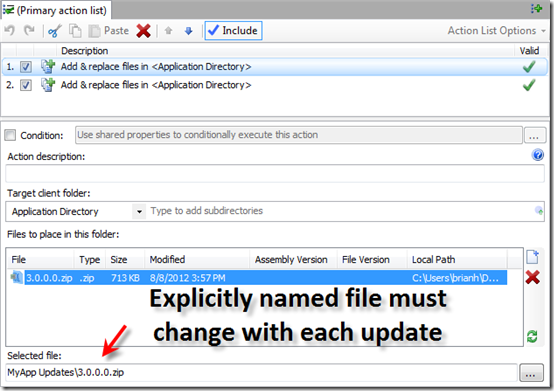 When any of the file related update actions are added to an update action list, the default directory that is targeted is the Application Directory. This is most often the location where files need to be added or replaced during an application update. 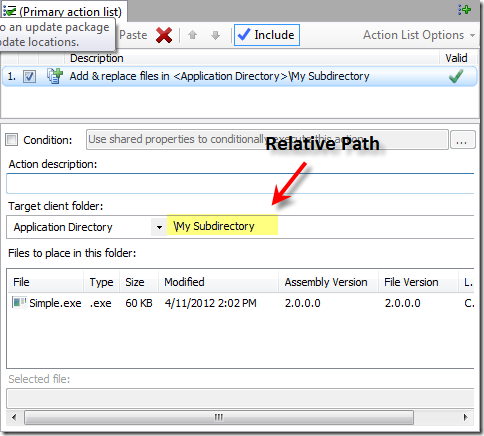 Accessing paths relative to the Application Directory can be accomplished using the subdirectories property. 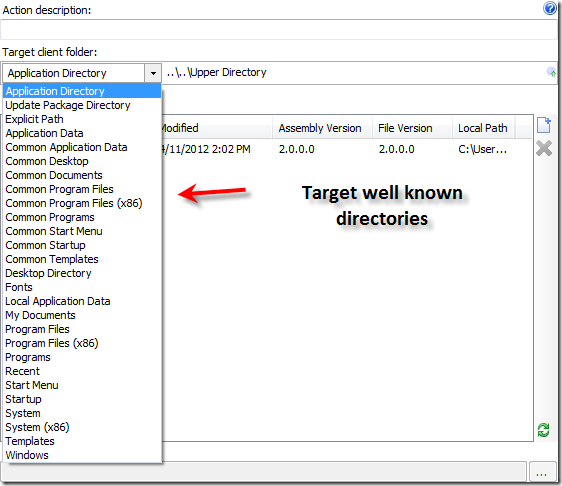 In addition to the Application Directory, you can target any of the well-known named folder locations as well, such as the current user’s profile directories. You’ll notice in the list of directories, there is an Explicit Path option. 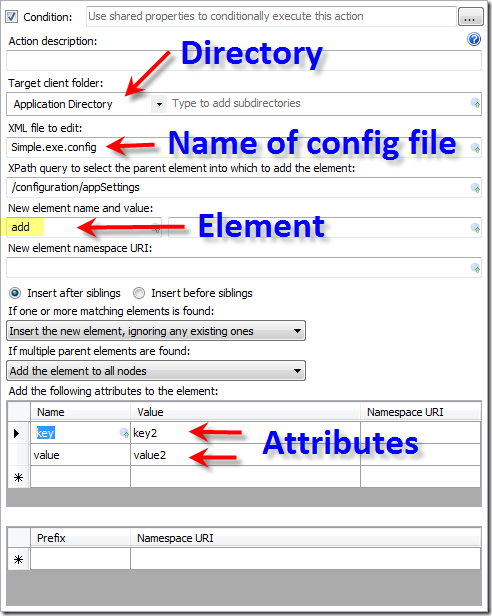 This option lets you specify the entire path to use for the file action. At first glance, this feature doesn’t look all that useful, but when combined with Shared Properties, it becomes a very nice feature. 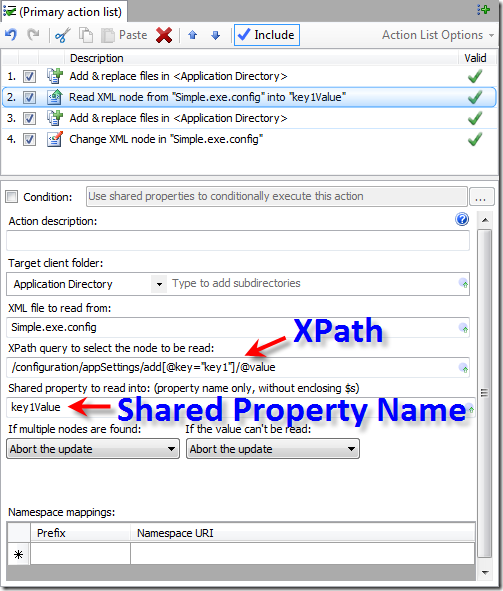 Shared Properties can be used in many action properties. Most of the properties of built-in actions have the ability to expand a Shared Property in place. These properties are adorned with a blue icon indicating their support of this feature. 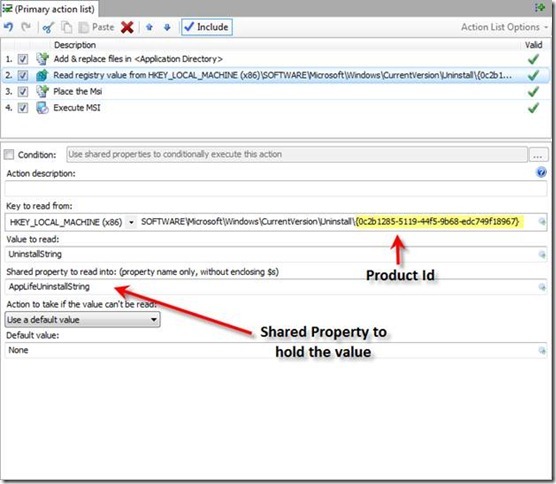 A Shared Property is inserted using $$ delimiters, and during update execution, the value of the designated Shared Property is inserted in-place of the delimiter. 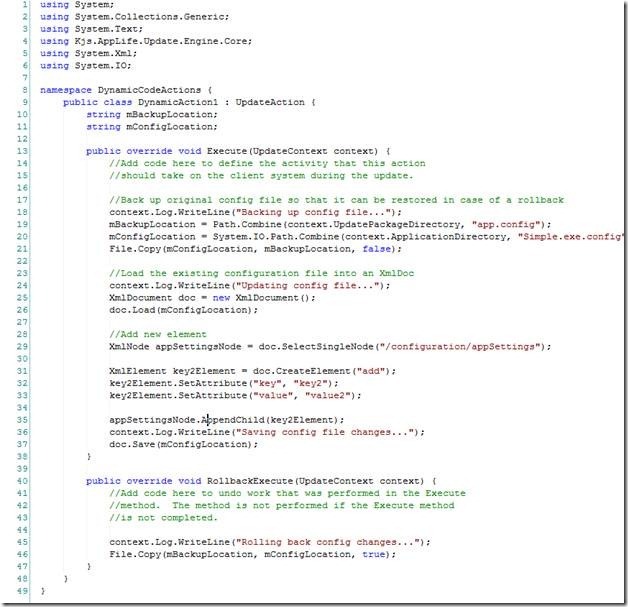 So for file actions, we can use a Shared Property to target an explicit folder, which opens up lots of possibilities because Shared Property values can be passed in from the host application, set by other update actions that can read from a database, the registry, xml config files, or custom actions running your own code. 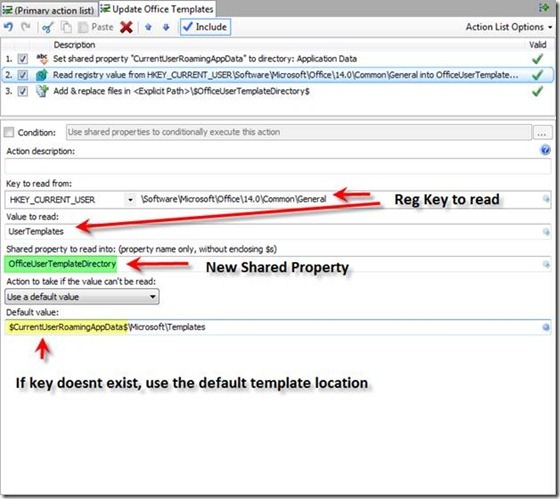 Say your application installs templates for Microsoft Office and you need to maintain those templates during an application update. There is a default location for Office templates however this location is user configurable, so it could be different on every system. 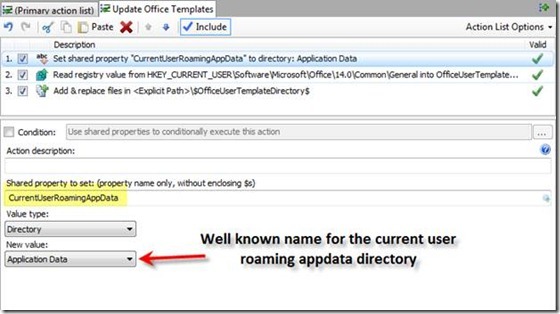 The default template location is located in the current user’s roaming application directory. If the user has specified a custom template location, we can find this path in the registry. One caveat is that if the user has not specified a custom location, this registry key is not present. 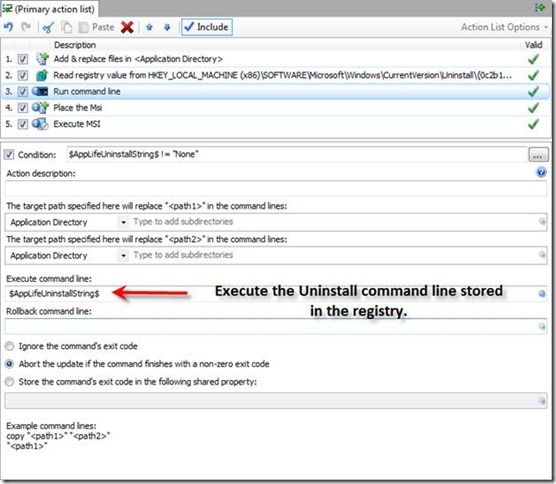 So in order to target the correct folder, we’ll need to read the user configured location from the registry, and then use that location with an Add & Replace files action. 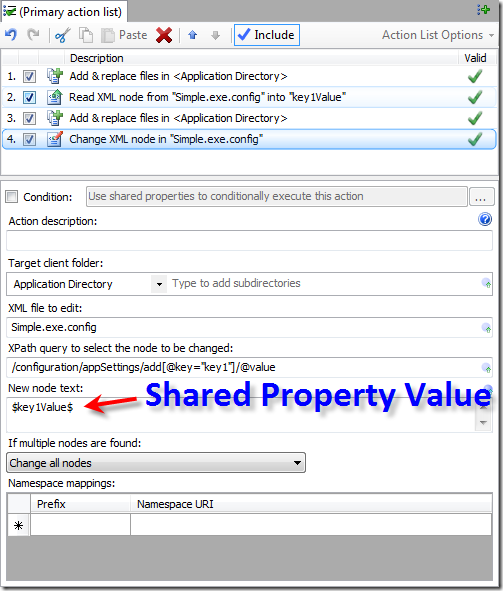 If the registry value is not present, we’ll also set the default value of this shared property to the correct default location by expanding another Shared Property. 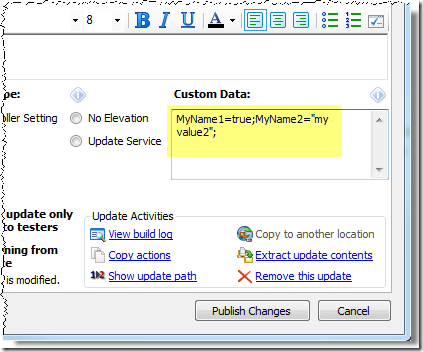 Action 1 – Add a Set Shared Property action and set a Shared Property to the current user’s local roaming AppData folder path. 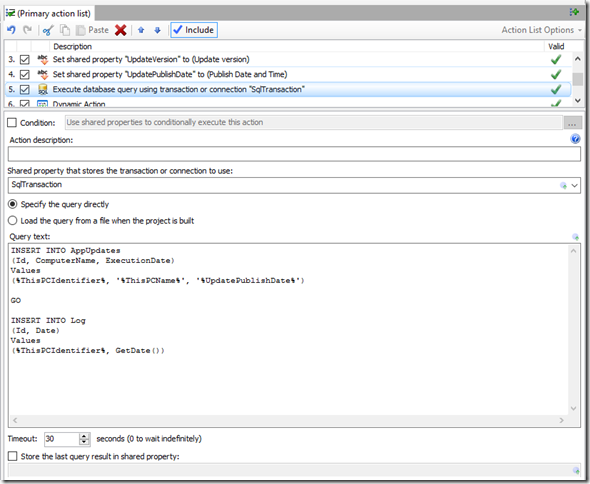 We’ll use this to set the default value in the next action. 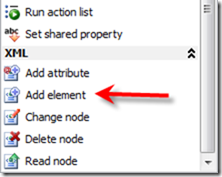 Action 2 – Add a Read Registry Value action to get the User Configured template directory from the registry and assign the value to a new Shared Property. 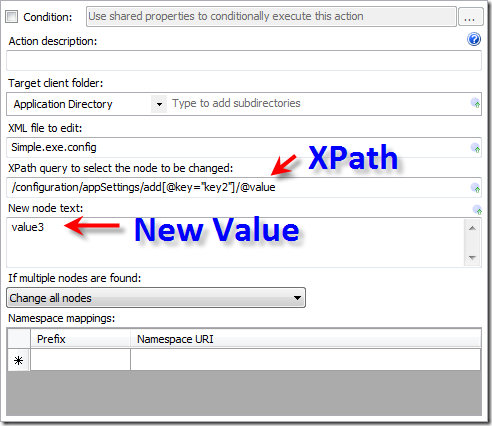 If the value doesn’t exist, we’ll set the default value with the path identified in action 1. 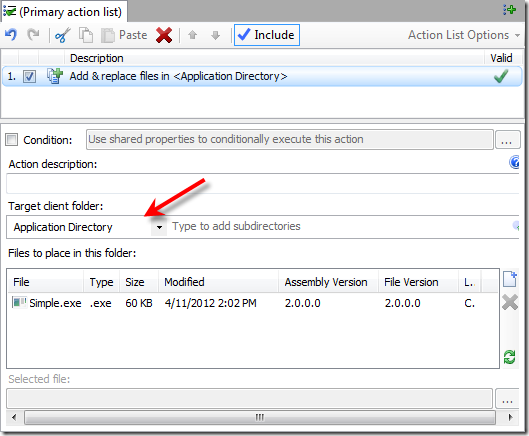 Action 3 – Add an Add & Replace Files action and use an explicit path to target the correct templates folder. 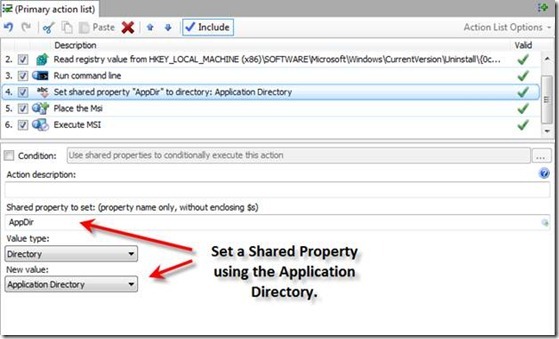 Using Shared Properties and explicit paths, we can easily access and maintain files and assemblies in any local directory that our application uses. For applications that deploy a Windows Service, updating the installed service can present a maintenance challenge. This is a scenario where integrating AppLife Update makes a difficult task extremely easy to accomplish. 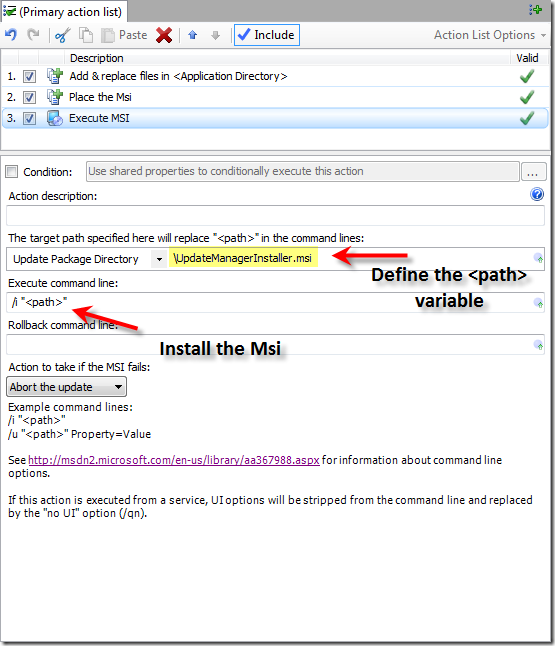 Using AppLife Update actions, a Windows Service can be updated in three easy steps. Stop the Service using a Stop Service update action. 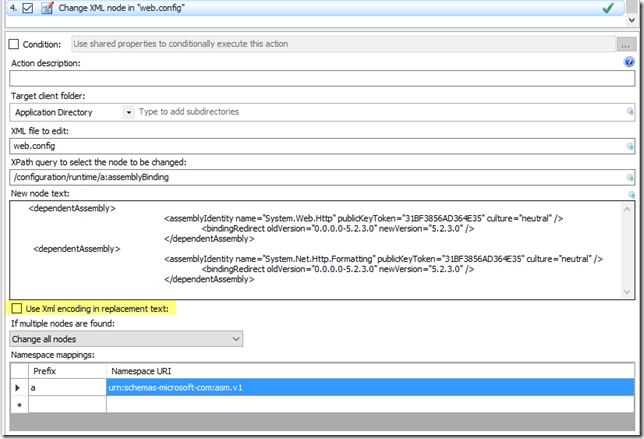 Replace the Service assemblies using one of the available file replacement actions. 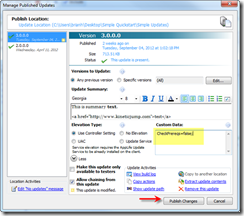 Restart the Service using a Start Service update action. Tada! Big maintenance challenge accomplished. 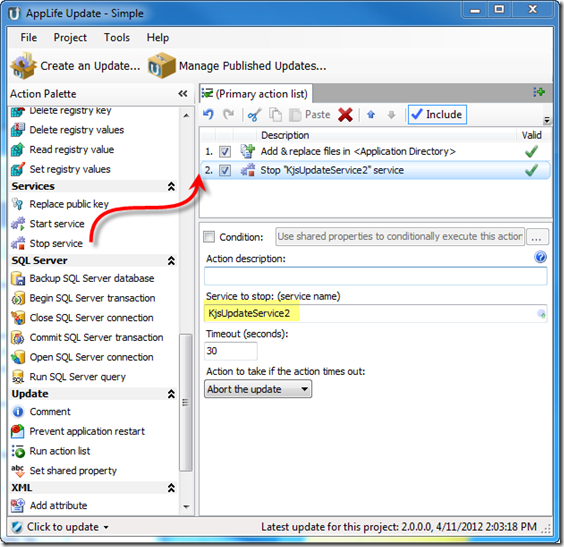 The release of AppLife Update 4.5 included a few very small changes to our AppLife Update Windows Service. Specifically, in previous versions, if the Windows Application Event Log was full and not configured to replace old events, our service would not apply an update. This issue affects a very small number of systems as since Windows Vista, the default logging behavior is to replace old log events when the event log is full, and the event log has to actually be full to cause an issue. For customers who use our AppLife Update Windows Service, if you choose, you can update the AppLife Update Windows Service on your deployed clients during your next application update. This is optional because if the logging issue isn’t a concern, you can leave the previous version alone. 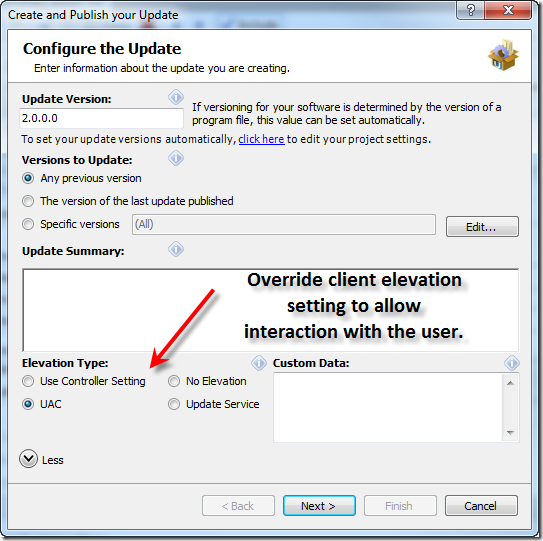 Any past version of the elevation service will operate properly with the latest AppLife Update controller. If you do so choose, here is how you can update the AppLife Update Windows Service (or any other Windows Service for that matter). To stop the service, we need to know the service name. If you don’t already know the name of the service you are updating, it can be found in the Services manager. 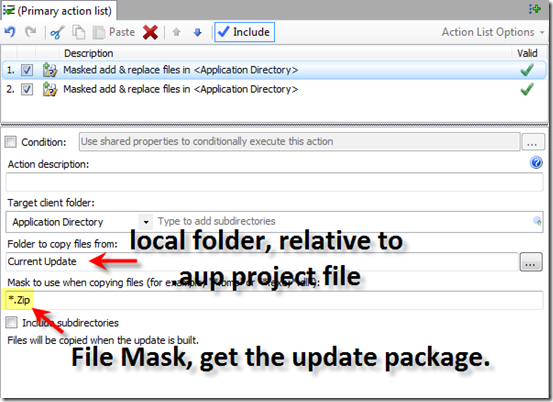 Open your application update project file (.aup). Add a Stop Service action to your update. Set the Service to Stop property to the name of your service. In this case, the service name is KjsUpdateService2. 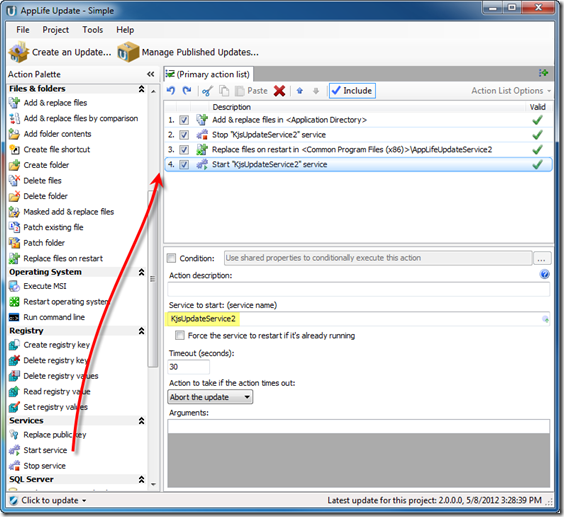 We use an Add & Replace files on restart action to update the assemblies. 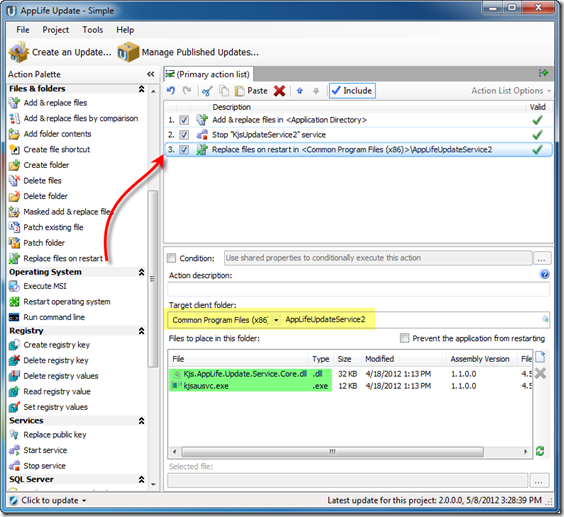 The AppLife Update Windows service is initially deployed using an MSI merge module, and is always installed to the Common Files Folder\AppLifeUpdateService2 folder. 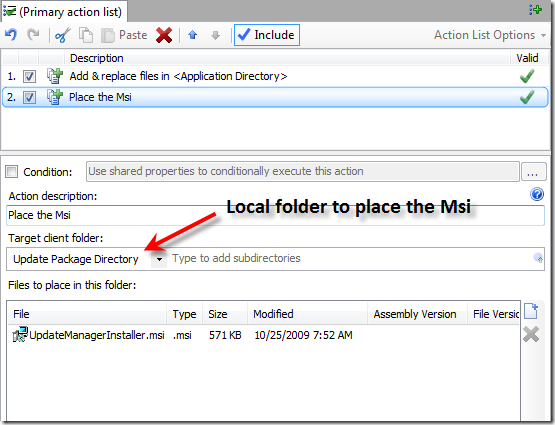 To update the service, we’ll select the Common Program Files (x86) client folder and set the appropriate sub-directory, and then add the two assemblies that constitute the service. Choosing the x86 variant of the Common Program Files folder will ensure we target the x86 common files folder on x64 operating systems. Using the non x86 Common Program Files directory targets the x64 folder on 64-bit operating systems. On x86 operating systems, there is only one common program files directory, and either variant will target the correct folder. Note: When updating most Windows Services, even when a service updates itself, the service assemblies can be replaced immediately, without deferring to a restart. 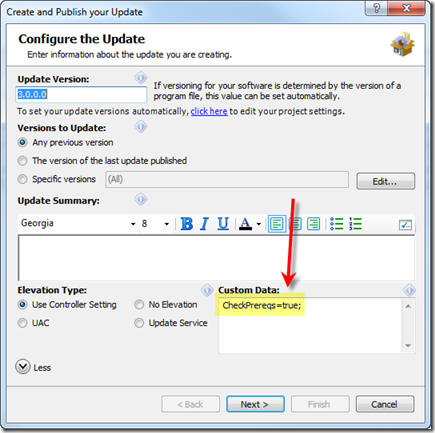 The AppLife Update service core assembly houses a class used to marshal information between the User Interface process and the service started worker process. For this reason, even though the service is successfully stopped, a lock is still being maintained on the core service assembly while the update is executed. 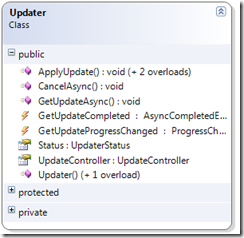 Because this lock is not released until the update completes, the file replacement is deferred until restart. We do not need to force an operating system restart, as the previous update service can be restarted and function properly until the system is restarted. If a restart were necessary, we could include a Restart Operating System action to accomplish this. 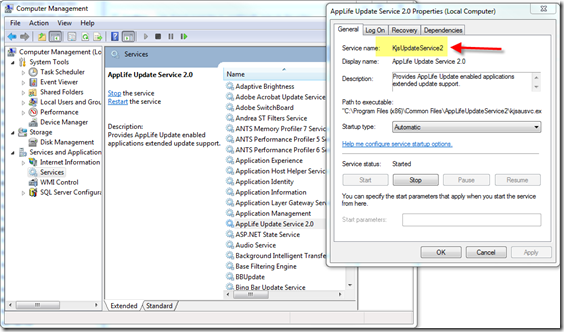 The service assemblies ship with AppLife Update already embedded into the AppLifeUpdateService.msm merge module. 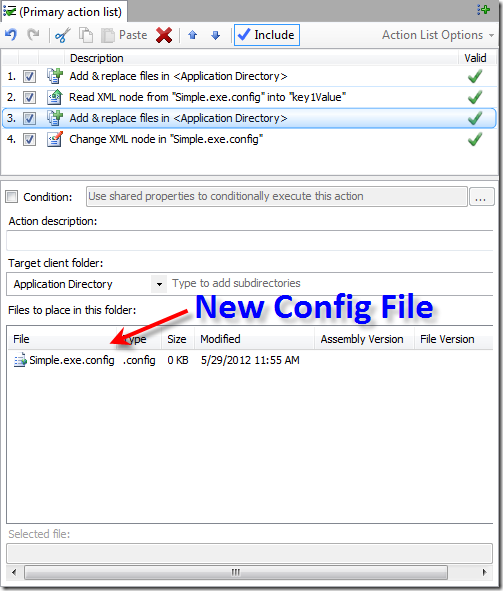 After an installation, the assemblies will be in the common program files folder and can be extracted from there. After this action executes, the Windows Service will be updated. Now we just need to restart the service. The service is restarted by adding a Start Service update action. The action is configured by defining the name of the service to restart. In this case it is again, KjsUpdatService2. That’s it! Windows Service update completed. But My Service is My Application? 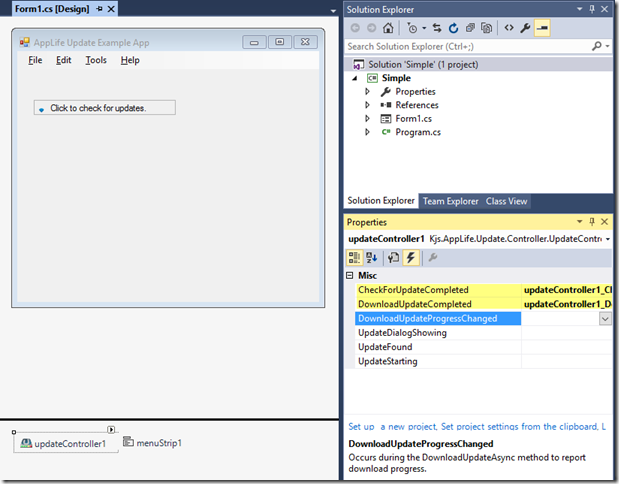 This example assumes an existing update process exists and can be utilized to update the Windows Service. This is usually an installed application that utilizes the Windows Service, and can take responsibility for updating it. 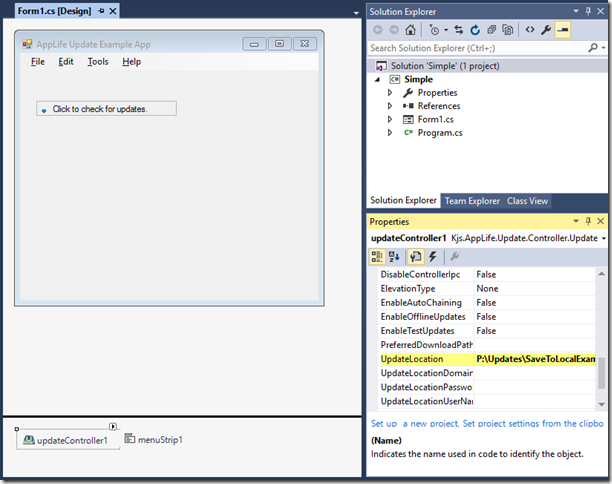 A stand-alone Windows Service can become “Self Updating” just as easily by integrating an update process using an AppLife Update controller. There is one point to make in this scenario. When applying an update, you want to use the option to instruct the update controller not to shut down the host application (the service). The Stop Service update action performs a proper service shutdown through the use of the Windows Service Control Manager, and is the recommended method to use when stopping a service for an update.